A female biker had her shop destroyed for telling a tout not to sexually harass her at Olugbede, Isheri, Lagos. 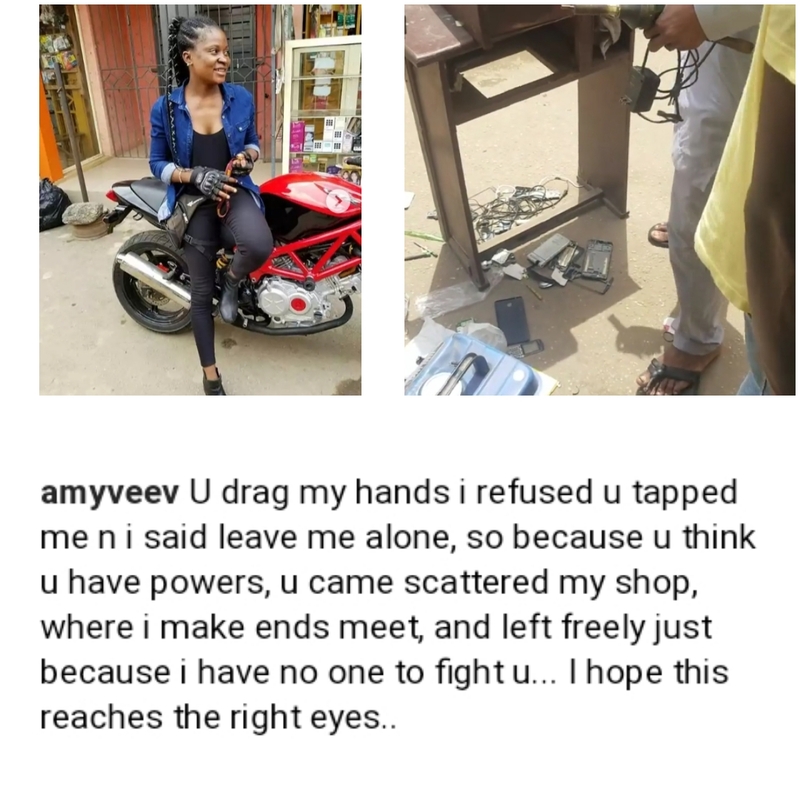 According to her, she said: "You drag my hands i refused u tapped me and i said leave me alone, so because you think you have powers, you came to scattered my shop, where i make ends meet, and left freely just because i have no one to fight you... I hope this reaches the right eyes.."